Selected to be a resident artist at The Brewhouse Association through their Brewhouse Distillery Program. Distillery is an eleven-month studio residency designed to help 7 emerging artists transition into a professional artistic career by supporting a vigorous studio practice and providing professional development opportunities in a creative and affordable environment. This program focuses on inspiring participants to embrace new challenges in their work and connect to a supportive community. Artists will work throughout the year towards a group exhibition featured at the Brew House Gallery. Selected for a 4-week fellowship at Vermont Studio Center for January 2020. So excited to debut my work in a solo exhibition in my homestate of Alabama. Thicker Than a Sticker will debut in January 2019. Vulcan Materials Gallery. 1800 Reverend Abraham Woods Jr. Blvd. Birmingham, AL 35203. 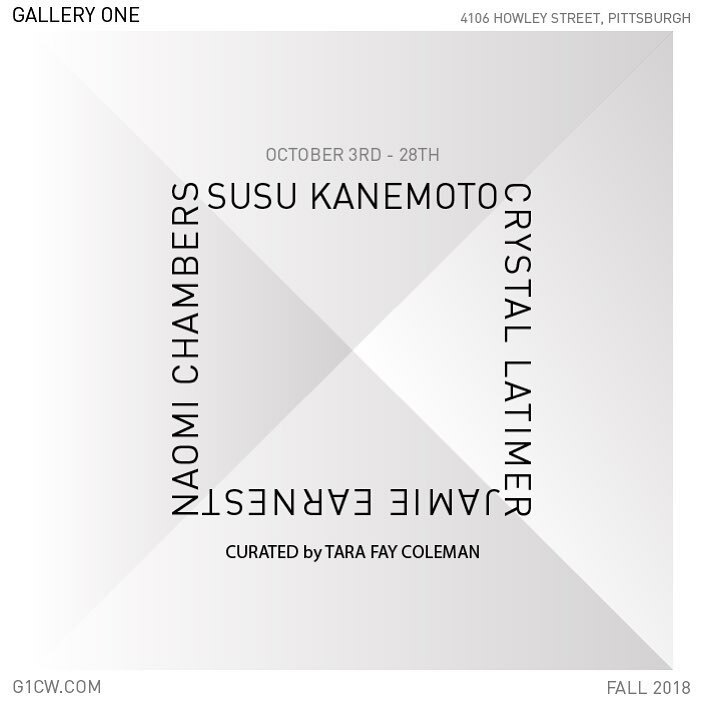 Jamie Earnest speaks with Pittsburgh local curator Tara Faye Coleman about her artistic practice and the current work in her exhibition, Metaphorical Motorcycle. September 19th. 6:30-8:00pm. Free and open to the public. RSVP on Facebook. 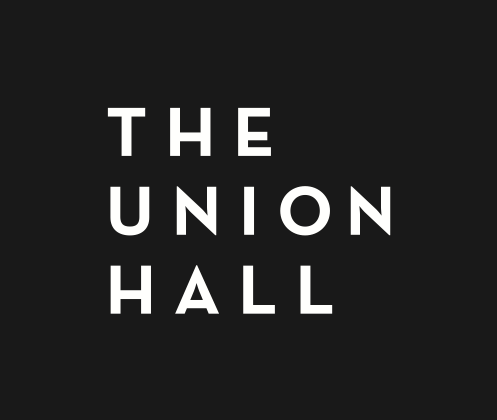 The Union Hall. 2216 Penn Ave, 2nd floor. In conjunction with Artists Who Teach on view in the Cantilever Gallery through November 25, we invited each of the teaching artists to nominate one of their students for this exhibition in the Robertshaw Gallery. The selection of student work was juried by Chief Curator Barbara Jones and Curatorial Assistant Bonnie West. Equity Gallery is pleased to present Memory Palace, a group show curated by Margot Yale and featuring the work of Audrée Anid, Jamie Earnest, and Kelly Olshan curated by Margot Yale. The exhibition takes its name from the “method of loci,” an ancient imaginal technique used by Greco-Roman orators. This approach also referred to as the “memory palace” relies on the assumption that spatial memory of familiar places is the most potent mnemonic device. Using the memory palace, a subject can memorize the layout of an architectural environment, pairing each physical locus with a distinct fact. By imagining the experience of walking through this space, one can facilely retrieve this new material. The three artists featured in Memory Palace explore this relationship between memory and architectural space. Tapping into fleeting, personal, imagined, and unattainable spaces, these artists negotiate the boundaries between lived experience and fictional, spatial environments. The intricacies and incompatibilities of the architectural constructions within these artists’ work capture how both fleeting imaginaries and enduring memories are invariably entangled in the built environment. Their works challenge the limits of spatial logic and demand that we reorient ourselves amid these disjointed landscapes. Chosen alongside 11 other artists to create an original woodblock print. 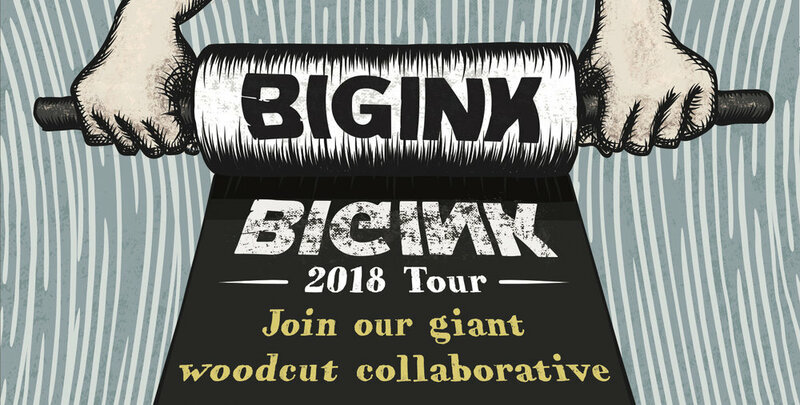 BIG INK is an organized network of creative thinkers focused on promoting the art of large-scale woodblock printing. BIG INK works by establishing a temporary print shop on site at partnership organizations. Artist Image Resource will be the printing site for myself and the other 11 artists. Find the printing event here. My Motorcycle is a solo painting exhibition at The Union Hall in Pittsburgh, PA.
By Means of Play is an exhibition juried and curated by Emma Vescio that will explore celebratory and vibrant art and artmaking as practices of self-care, expressions of joy, and political engagement. The exhibition seeks to feature both two-dimensional and three-dimensional works that highlight intimate, joyful, and passionate moments. Faux Lasik is a painting show featuring new works by Jamie Earnest. Opening Reception: January 5th 6:00-10:00pm. RSVP on Facebook. On view at Imagebox for the month of January 2018. 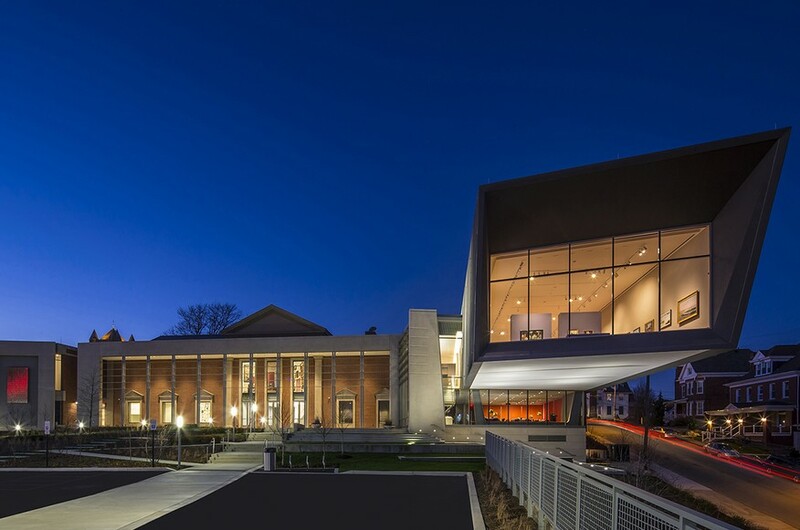 ProjectArt transforms the nation’s public libraries into vital cultural hubs by offering youth year-round visual art classes and providing studio spaces for emerging visual artists. Participation in PrintHouston 2017 with Cindy Lisica Gallery in "Fine Wind, Clear Morning"
Austin's three day art festival is back! Check out some of my paintings at Cindy Lisica Gallery's booth. Saint Mary Help Us and T.S.A. Took It to be included in a group show at The Suzhou Arts and Culture Center in the Jinji Lake Art Museum from January 7th-January 16th, 2017. Annually, Carnegie Mellon University recognizes graduating seniors via a process known as Senior Leadership Recognition, where staff and faculty across the University nominate students who have made significant contributions during their time as a member of the Carnegie Mellon University community. While we have many talented and involved students in each graduating class, this recognition is reserved for those students who have made an unparalleled impact on our community. These individuals leave Carnegie Mellon a better place as a result of their leadership, vision, and initiative. Each recipient of this recognition has created a unique imprint on the culture and life of this institution through his or her contributions to academics and research, the arts, athletics, civic engagement, and community development. Select small paintings to show at Revision Space, "FTW! For The Win/Fare Thee Well"
Opening March 25th. Event here. Select small paintings to show in ENTROPY: A Painting Show at The Frame Gallery. Opening March 17th. Event here. 20th of February 2016. 2:00pm. "Earnest creates three new large-scale paintings that incorporate details from the private, residential spaces of both Andy Warhol and Chow. Mined from the Sotheby’s catalogues of Warhol’s estate sale, Earnest incorporates objects and other interior details from Warhol’s private townhouse. Famous for his collection of cookie jars, Warhol was also an avid collector of American decorative art and paintings from his contemporaries like Basquiat and Lichtenstein. Bringing these objects in dialogue with details from Chow’s home in Los Angeles, sourced from press articles online, Earnest’s paintings present abstracted views of the private dwellings of these two famous personas." Revision Space chosen to participate in Aqua Art Miami, Earnest is one of four chosen Pittsburgh artists to be represented by Revision Space at the art fair. Revision Space is participating in the art fair during the dates of December 2nd-6th, 2015. Selected works include: CA, Flooding Tires, Dante in my Basement, My Mess, Beach House 2004 ft. Rothko, Movies, Untitled. Great Waves II: Revision Space Summer Show by jurors Eric Shiner, Director of The Andy Warhol Museum, and Chad Alligood, Curator of the Crystal Bridges Museum of American Art. The program provides a small number of exceptional students the opportunity to remain on campus for one full year following the completion of their normal course of study. Fifth Year Scholars are supported by free tuition and a $7,000 fellowship. Designed to provide distinguished students with an opportunity to pursue a broadened educational experience while continuing to enhance the Carnegie Mellon community, the program offers students support in their personal and professional growth. Dante in my Basement, Doorframe 1, and Movies Series to be exhibited in FLASH at Future Tennant in Downtown Pittsburgh. 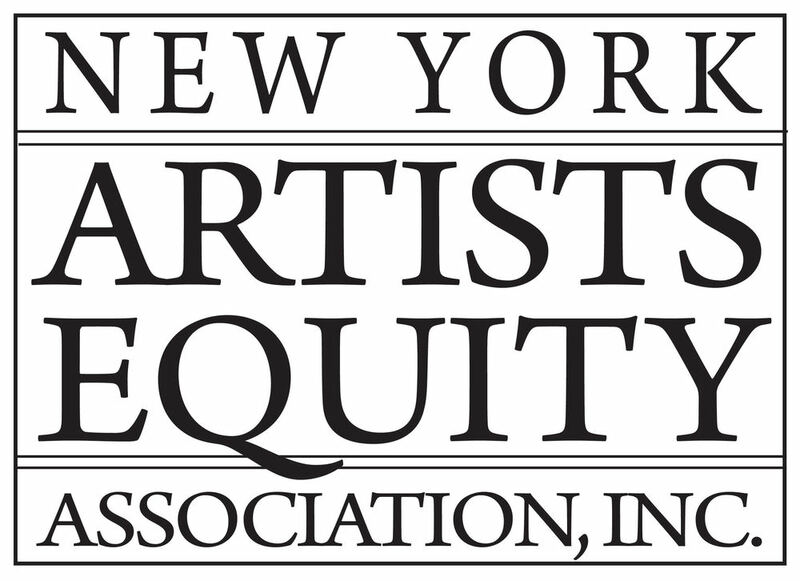 Three works to be shown in show in Brooklyn, NYC October 4-October 12, 2014. "The Heinz Endowments has awarded a place in this program based on the strength of Ms. Earnest's application, her character and maturity, and her potential to contribute as a leader in her community in the spirit of the Vira I. Heinz Program."